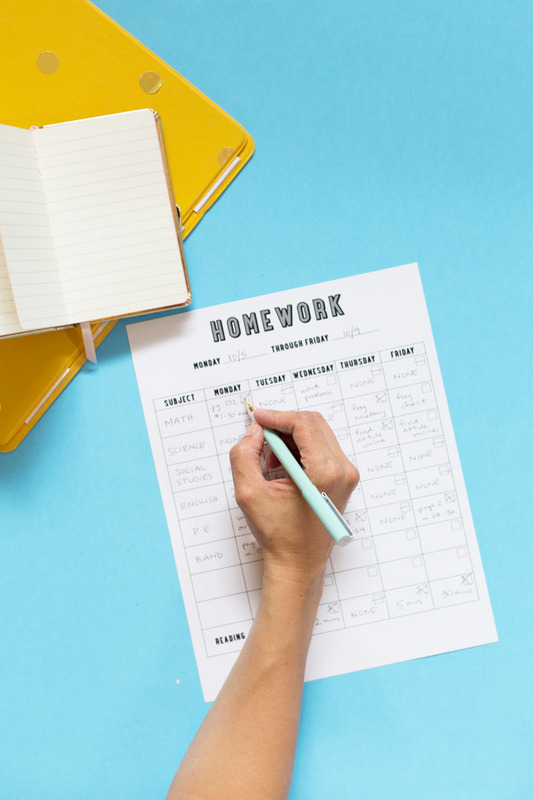 It’s back to school time, and for lots of us that means it’s time to get kids excited about homework! Okay, if not excited then at least…organized. And if that’s your goal, I’ve got just the thing for you. 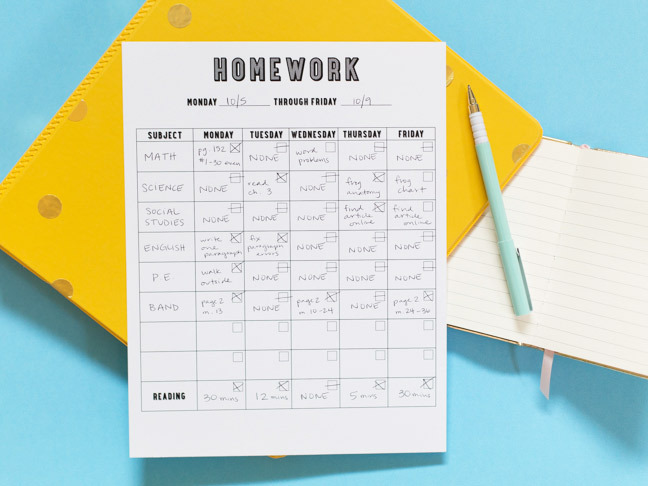 This quick printable homework chart is the perfect tool to help kids keep track of all of their schoolwork and whether or not it’s been done. 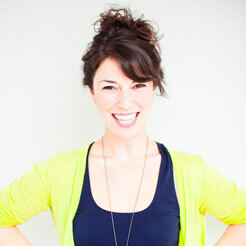 It’s customizable, so you can add different classes or subjects, and even has plenty of space for extracurriculars. 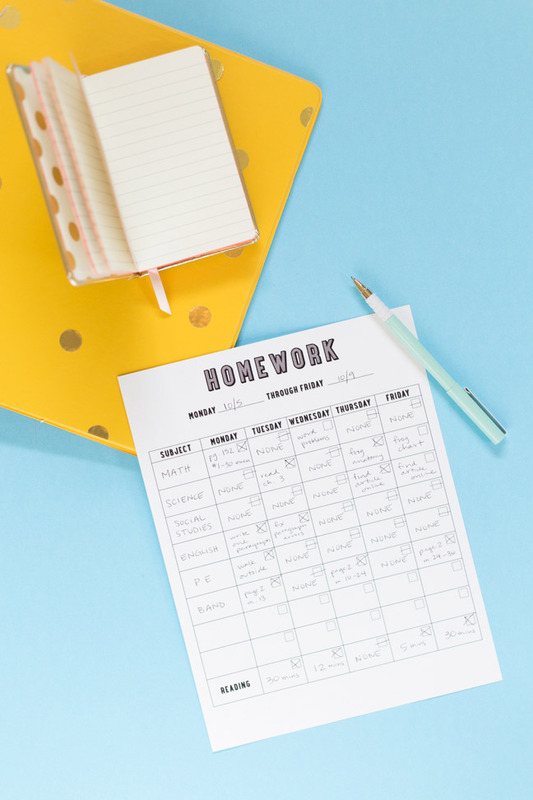 If you need a little boost to get the school year started, print out a few of these and help your kiddo get to work! 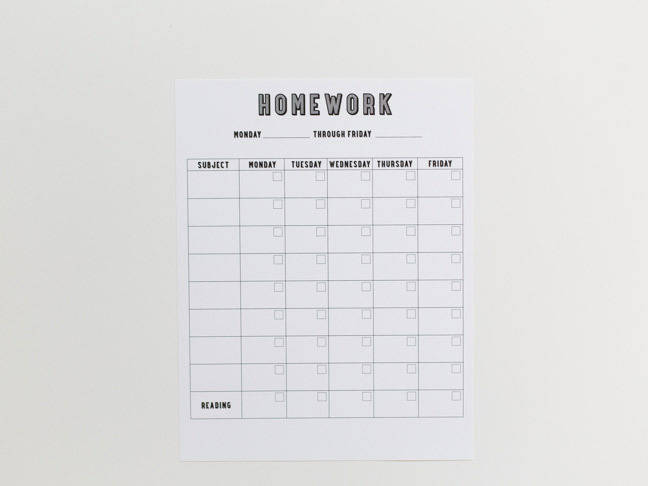 Step 1: Download and print the homework chart on card stock or plain paper. 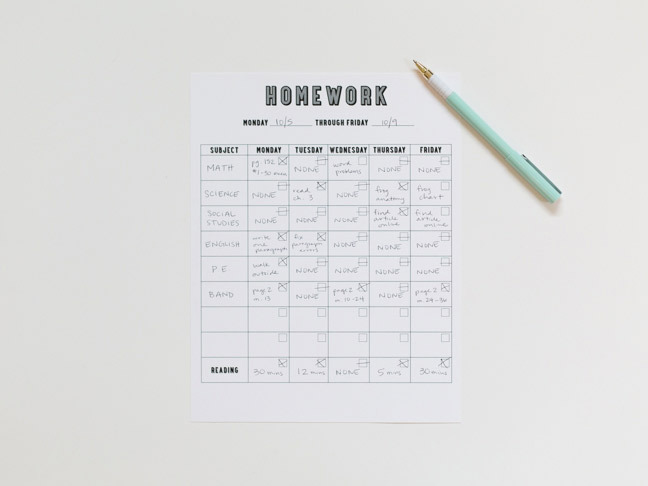 Step 3: Fill in any extra boxes as you see fit—those are a great place for extracurriculars like music, sports, and so on. Step 4: If you child has required reading, fill in that column with minutes or materials read. Step 5: Enjoy the organization and have a great school year!